It is a great pleasure for me to present volume 10, issue 4 of International Electronic Journal of Elementary Education (IEJEE) for you. In this issue fourteen interesting and important topics are addressed by twenty-eight researchers from seven different countries and more than ten universities. Different educational contexts and students at different age groups have their partly different and partly common challenges. The researchers do their important contributions by addressing the current issues in their environments and sharing it with international readers. ÖZERK, Kamil. Editorial. International Electronic Journal of Elementary Education, [S.l. ], v. 10, n. 4, p. I, apr. 2018. ISSN 1307-9298. 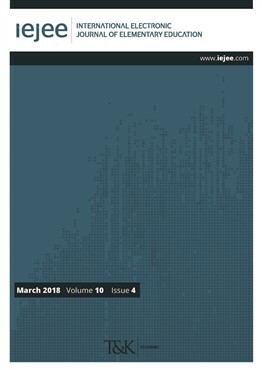 Available at: <https://iejee.com/index.php/IEJEE/article/view/502>. Date accessed: 18 apr. 2019.